Who loves chocolates? ME! Who loves ice cream? ME! Put it together, it's Nestle Crunch Ice Cream Stick! No, I'm not having any sugar rush right now. I just totally get excited whenever I think of it. You wouldn't believe it (my friends attest to this) but back in high school, I could finish not one, not even two but six (6) Nestle Crunch chocolate bars in one sitting. I would have won any chocolate eating contest, if there was one back then. Now, the thing about ice cream and me, is that we have a relationship. It instantly lifts my spirits when I'm down. Having Nestle Crunch Ice Cream Stick available in the market (for such an incredibly LOW price) is definitely a blast for me, like hitting the BINGO or Lotto! This instantly became my and my son's favorite! Did I mention incredibly LOW price? It is priced below P30.00 so its practicality value grade is - EXCELLENT! I'm probably living under a rock for too long. 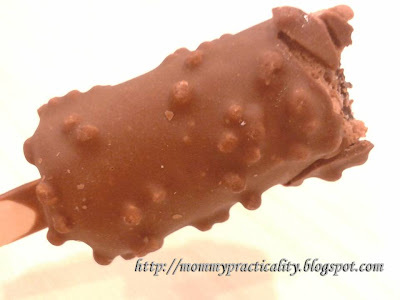 I haven't tasted this yet lol!...I love chocolates. Ice cream, only on a whim. I feel bloated with ice cream that I couldn't eat in the succeeding meal. So best time to have ice cream for me is after dinner hehehe. 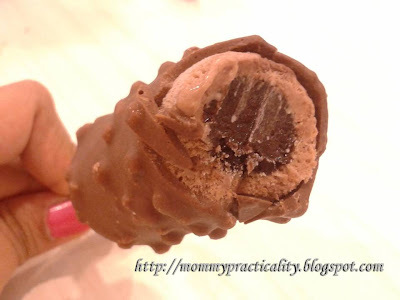 I have experienced eating this ice cream on stick and, for me, I wouldn't trade this for Magnum. And now I'm craving to have one, huhu! I feel like it's worth buying for than the over rated Magnum, hehehe! i love chocolates and ice cream, my daughter loves it too!!! Hi Marie Soria! That's what I thought too. But I like Magnum as well! Basta chocolate and ice cream! Winner! :) Thanks for the visit! Hi Farida, nice seeing you again! You definitely should try this soon! :) Thanks. I knew a blogger who modeled for the upcoming TVC of this ice cream.. seeing this post might buy some tom ^^. That looks very yummy. I haven't tasted it yet but looking at you eating it gets me all tempted. Hi Jennifer! Oo nga eh! Like Dainty Mom, Mommy Fleur and Mrs Martinez. Since hindi ako part nun, I posed na lang as if nasa ad din! hehehe! :) Thanks. Hi Gerilen! TRUE!!! 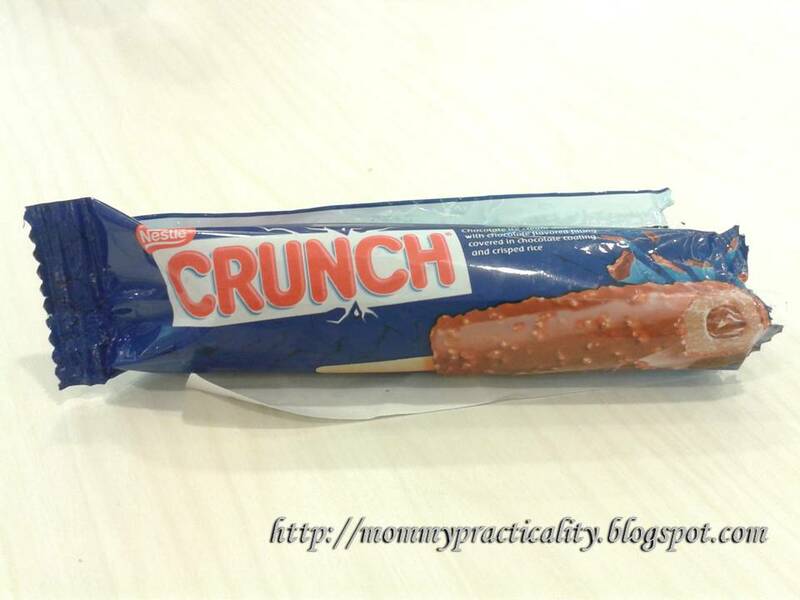 :) Sarap ng Nestle Crunch! I've never tried or even seen one before. Where have I been? Haha. I love ice cream. I love chocolates. I love Crunch. I desperately need to try this. Looks so good! have to try it too!